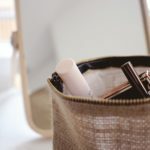 For as fun as I think makeup is to apply and experiment with, I realize that for a lot of women, it’s a daunting routine that is sometimes anything but intuitive. 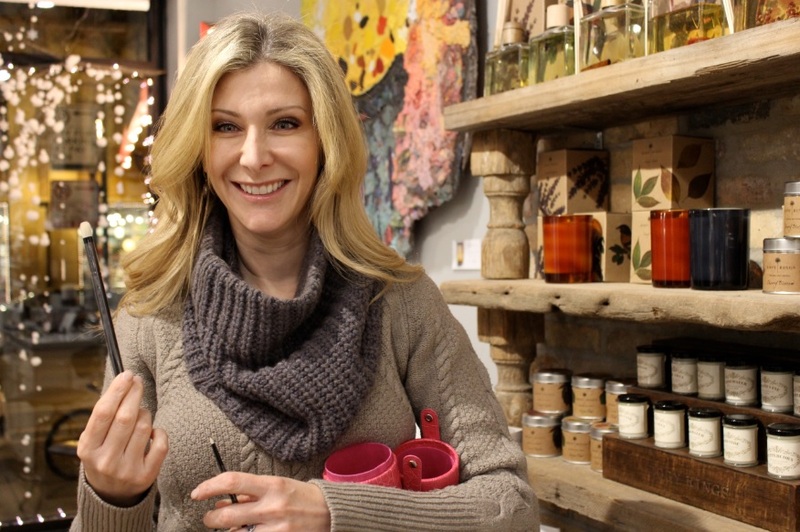 Allow me to introduce you to the “lazy perfection makeup method,” coined by one of the best makeup artists in the biz, Jenny Patinkin, who also calls Chicago home. She’s built a reputation for creating simple and natural looks that are easy to do yourself. Jenny’s approach is very “real girl” and she’s all about breaking down the notion that in order to be flattering, makeup needs to be complicated or full of steps. 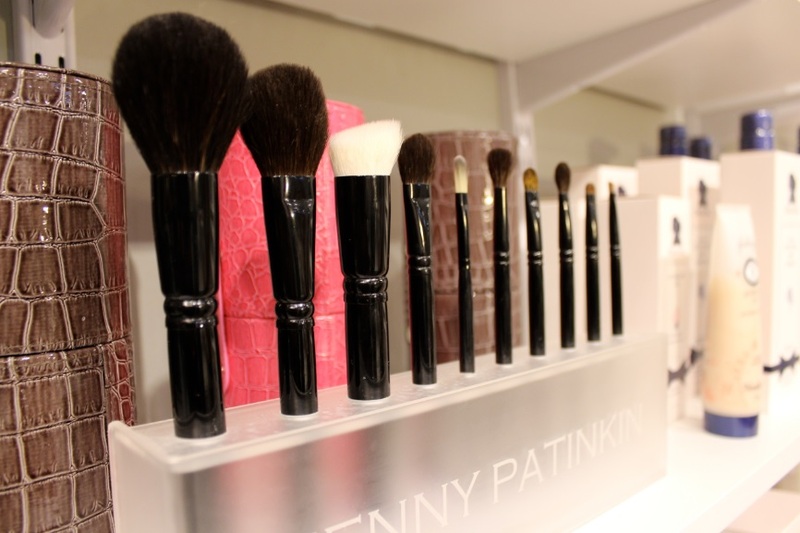 She even designed a lazy perfection-inspired line of makeup brushes (coming soon to Space NK!) that practically apply makeup for you. I asked Jenny to share some of her lazy perfection tips for winter beauty. This week has been a painful reminder of the havoc frigid cold can wreak. My eyes tear up the second I walk outdoors and pale becomes me. You feel me? My eyes are like a leaky faucet when I’m outside in the cold. What should I be doing? 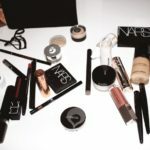 Eye shadow primer is an essential (I like Nars the best) and of course water-resistant eyeliner. For mascara, I’m actually not a big fan of waterproof formulas – they can dry out your lashes and make them brittle. I prefer a water resistant “tube” formula mascara like the ones from Kevyn Aucoin or Trish McEvoy because they stay on until you take them off, even if you have a few tears. And I would recommend a creamy concealer under the eyes that can be re-blended or blotted back into place after having tears run over it. Opaque concealers aren’t as malleable and are tougher to touch up. How do you prevent lips from drying out? Aquaphor! It’s a savior! I like to apply it to clients (and myself) before I put on any makeup so that by the time I’m ready to apply lipstick as the last step, lips are smooth and moisturized. Honestly, there are plenty of times in the winter when I personally skip lipstick altogether and just apply Aquaphor. I keep tubes of it everywhere – in my pockets, purses, my car and beside my bed, and I sleep with it on my lips every night. Statement lip: yes or no? As long as your lips are smooth and un-chapped, then why not! A satin finish is more comfortable to wear than drier matte or demi-matte finishes, though, and a little bit of sheen looks pretty against flat winter fabrics like wool or cashmere. It’s also helpful to warm up your complexion with a little bronzer so that the contrast between bold lips and pale skin doesn’t look harsh or too pronounced. What is the trick to getting glowing skin, despite the dry air? Look for products that have words like luminous, radiant, illuminating in the name or description. This generally means that there is micro-shimmer mixed in which will help any available light bounce off of your skin, adding dimension and glow. I like Burberry Beauty Fresh Glow Luminous Fluid Base mixed in with moisturizer or foundation, or Becca Shimmering Skin Perfector dotted along the tops of the cheeks. 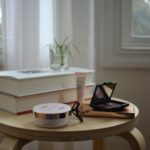 Tips to wearing bronzer in the winter? How do you prevent the cakey look? 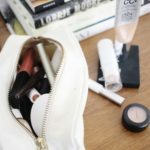 I tend to avoid powder products in the winter, or use them very sparingly. Something like Jouer Essential Matte Touch is almost like a putty texture that you can apply under your makeup or on top of it as a touch up over the course of the day – love that stuff. I sometimes also send clients out with sponges in their evening bags to blot away shine instead of covering it with powder. 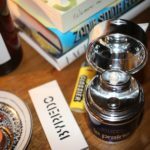 Pingback: Weekend Reads: Sci-Fi Spectrum | The Garden Apt.